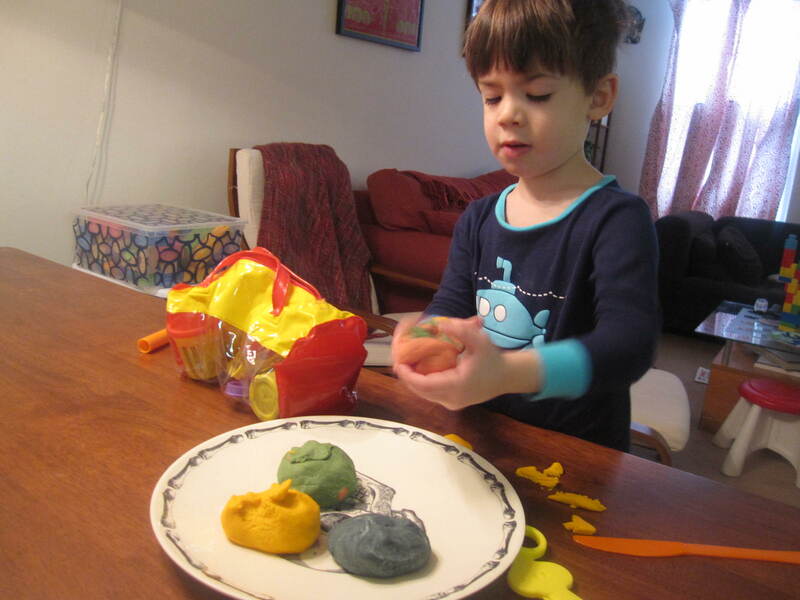 It was pretty nasty outside today, so we stayed in and made homemade playdough. 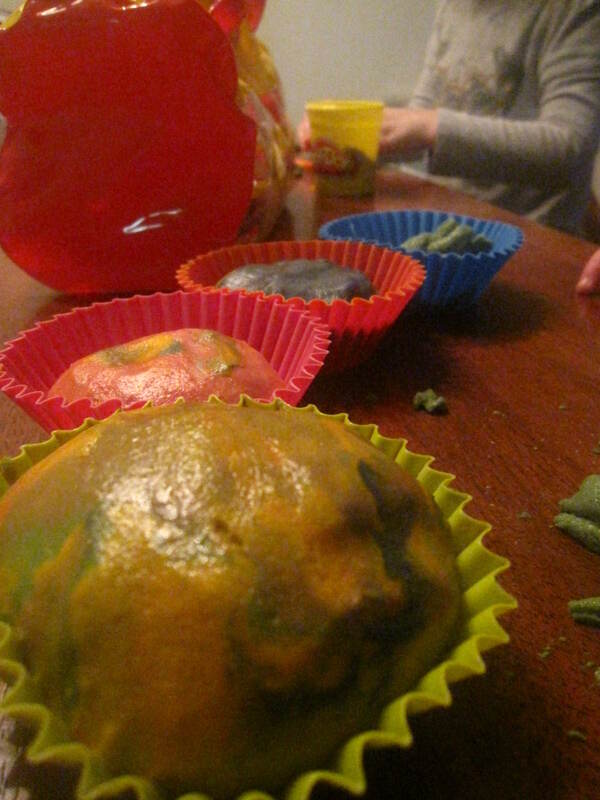 It was very easy to make. 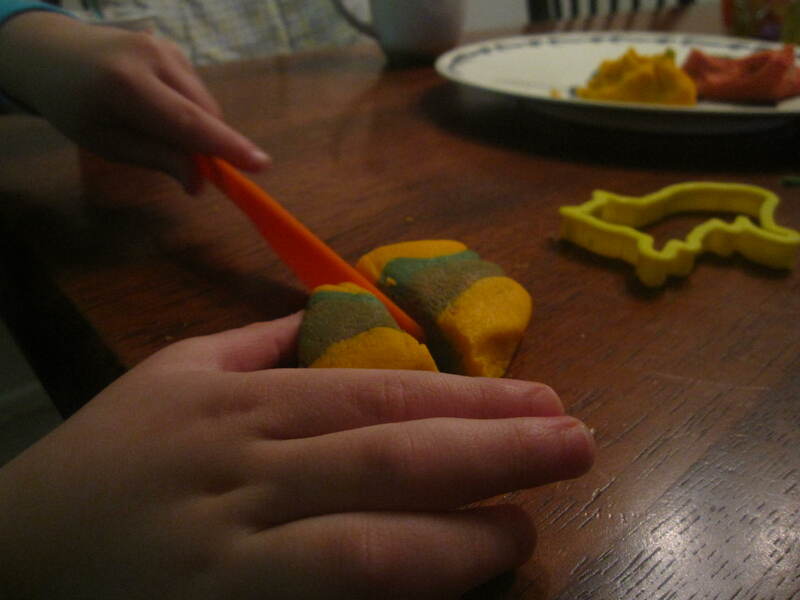 Playdough hamburgers. Why do they call them hamburgers if they’re not made of ham? (Cutting hamburger in to bits.) Max felt all grown up using the plastic knife.